I had this post prepared, and kept myself from publishing it. Barely ten days into my experience, and it was Ramadan. So, obviously then wasn't a good time for an Afternoon Tea review. Now, that Ramadan is over, it's about time this came online. 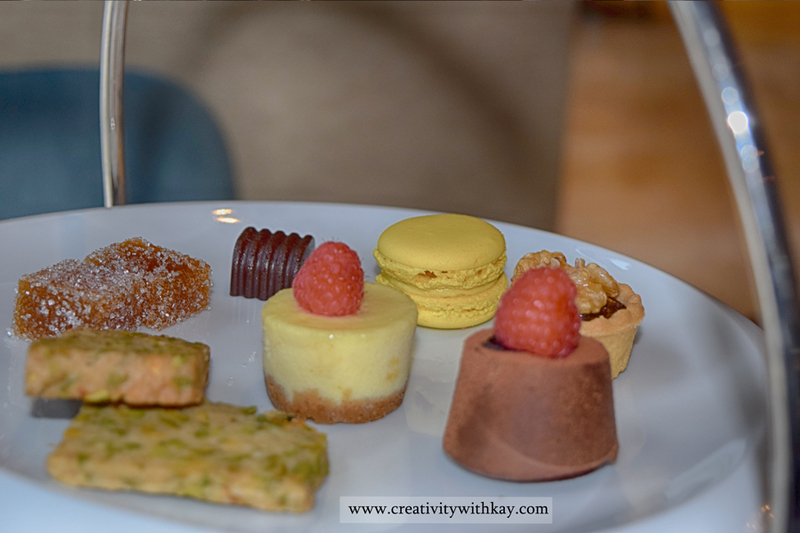 The Afternoon Tea at Lobby Lounge has been most affordable from all of my experiences so far, and yet gives a top notch experience from the moment you step in till you leave the lounge. From the moment I went in till I left the service was on point. Lavanya was there to welcome me, and introduced me to Erica. Erica was there to take care of all my needs, and even went an extra mile to giving me two cups of cappuccino just to share some awesome coffee art with me, and make my day better altogether. The ambiance is great, and the lounge is beautiful. Obviously, the pictures will speak for the experience. As for the Afternoon Tea, there are two kinds of them - one is The Oriental one which is priced at QAR 85, and the other one is The Contemporary one at 95 QAR. The Oriental Afternoon Tea had some amazing Hot and Cold Mezzeh. Obviously, as always the Oriental once has me leaning over as my palate is more suited to those kind of flavors. They were overly delicious, and if I had to pick one of my favorite pick in that it would have to be the Kibbeh - crispy, and yum! The Contemporary Afternoon Tea is equally delicious as well. However, I like to stay true to my tastes. And, hence I would still vote for the Oriental Tea. Their serving timing is a bit shorter than most places as their afternoon tea is served between 3:00 pm - 5:00 pm. A prior reservation is always more welcome so as to have yourself served as early as possible. As for the amount of food that is on each serving set, it is more than enough for two. 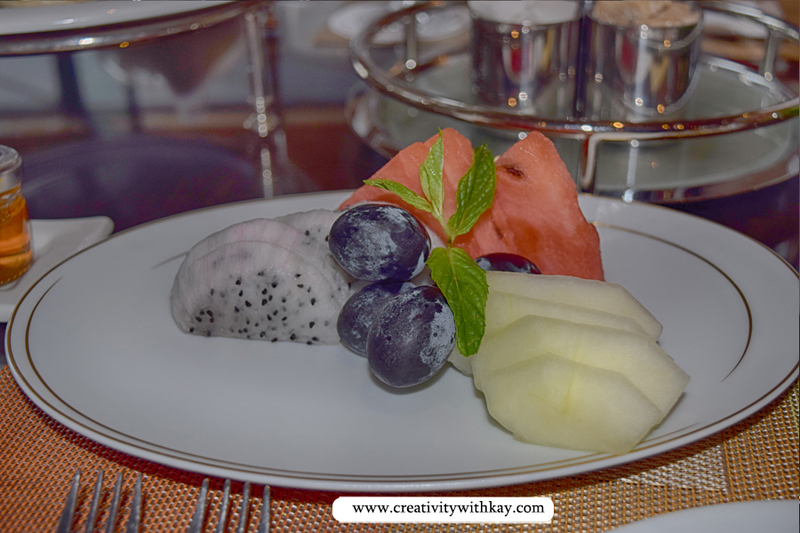 A plate of fresh sliced fruits also, comes alongside the Contemporary set. For tea, I went for a mint flavored tea - Moroccan Tea which is served keeping up with Moroccan styles, and traditions. If you love some coffee art, don't forget to order a cappuccino. They have the best coffee art so far in hotel lounges compared to the more plain, and less creative ones I have tried at other places. The afternoon teas in Doha always give a hybrid experience combining the best of English, and Arabic Lifestyle. As we were about to leave, we were given a scone to take away home, and a special envelope in which lay the Chef's secret recipe to delicious scone. P. S I was a guest at Lobby Lounge, Intercontinental Doha The City. However, all opinions and pictures are my own.